The Telegraph – Last weekend, Calum MacLeod took some time off from Bexley Cricket Club, the Kent Premier League side where he is a player-coach. Last weekend, Calum MacLeod took some time off from Bexley Cricket Club, the Kent Premier League side where he is a player-coach. While a full-house against England beckoned, MacLeod found the experience liberating. 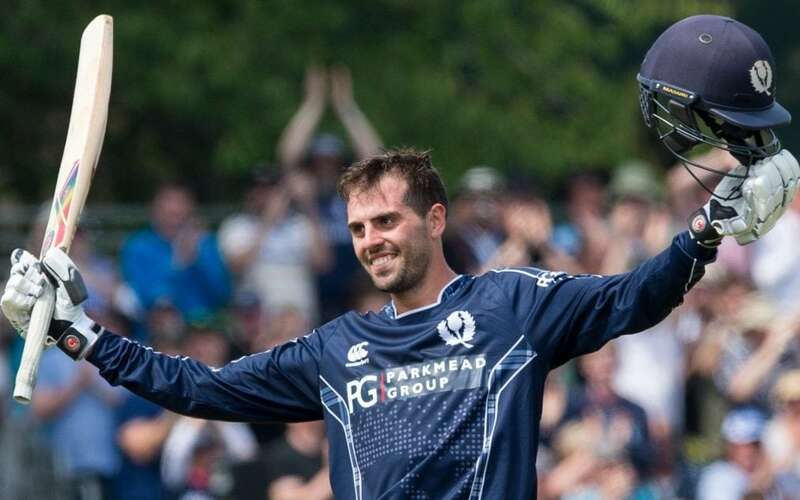 Scotland aren’t used to playing in front of such crowds; but they are used to playing “under unbelievable pressure – there’ve been games where we know that if we don’t win, our jobs could be on the line”, such is the cut-throat nature of Associate cricket. Instead, MacLeod could trust in his game. On 23, MacLeod swept consecutive fours – one in front of square, the next behind square – off Moeen Ali.